With her first novel, Ann Victoria Roberts told the story of Louisa Elliott. Here, in this beautifully crafted second novel, she uncovers Louisa’s legacy to later generations. In modern-day York, while on leave from his ship, sea-captain Stephen Elliott meets his distant cousin Zoe for the first time. Drawn into her search for the Elliotts’ past, he finds their subsequent affair stirring echoes of an untold family history, revealing truths and conflicts previously unsuspected. At the heart of this story is Liam Elliott, Louisa’s eldest son. In the summer of 1913, after a bitter quarrel, he leaves York for Australia, later to enlist with the ANZAC forces in a war which brings him back to Europe, his family – and Georgina Duncannon. In faded letters, photos and a wartime diary, are concealed the fragments of a haunting relationship between Liam and Georgina, conducted against the tragedy of Gallipoli and the Somme. Joining a ship bound for the war-torn Persian Gulf, Stephen is faced with some disturbing parallels between past and present, just as Zoe, alone at home in London, is discovering the seductive power of that piercing, impossible affair. Set against the tensions of the Middle East and all the bitterness of the First World War, Liam’s Story is a passionate and triumphant exploration of the many dimensions of love. Anyone who has read Louisa Elliott, the first novel by Ann Victoria Roberts, will be delighted that this talented writer has now brought out a sequel… This blockbuster of a book is the result of Ms Roberts’ inspiration when she read the 1916 diary of an Australian soldier. Through extensive research on her part, everything relating to the First World War is based on truth. Only the modern day section is fictional. Roberts marks time with her words and keeps the reader moving along, building suspense subtly, making transitions artfully. This is sure to be a hit with those who enjoy a good long read, and appreciate a twinge of mystery. 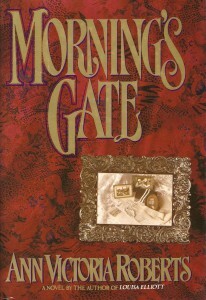 Morning’s Gate is a fulfilling fictional experience. 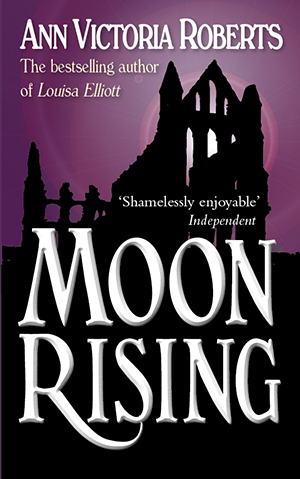 This is a sequel to Louisa Elliott, which was inspired by the diary of a young First World War soldier from Yorkshire, and was a big success in both hardcover and paperback. 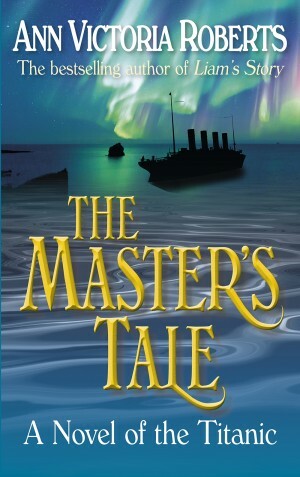 On leave from his ship, Stephen Elliott meets his cousin Zoe, and they become involved a search for the Elliotts’ past. At the centre of their researches emerges Liam, eldest son of Louisa Elliott. The story takes us through the First World War including Gallipoli and the Somme. From old letters, photos and a wartime diary, a forbidden relationship is discovered. 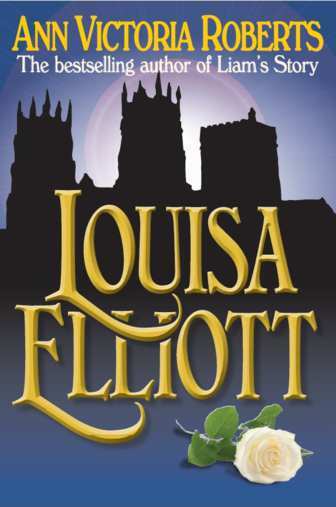 The British author of the widely acclaimed Louisa Elliott now turns her considerable talents to writing the story of Louisa’s children – beginning in the present when Zoe Clifford travels to York in search of her family’s history… Well-researched and deftly-written: a thoroughly satisfying historical novel that bridges the decades with grace and skill. Morning’s Gate isn’t a time travel novel, but skirts around one. It’s safe to categorize Ms Roberts’ work as hauntingly deja-vu, with psychic overtones, as it picks up the legacy of Louisa Elliott, Ms Roberts’ highly acclaimed first novel… Spanning seventy years, Morning’s Gate is an ideal long read for chilly winter weekends, Mrs Roberts’ elegant prose is a joy to read. Continuing the tangled relationships of the British family she introduced with Louisa Elliott, Roberts again turns out a superior romantic novel written with assurance and stylistic flair, and featuring background detail of WW1 that adds gravitas and substance to the tale… Neatly interweaving past and present, Roberts keeps the reader engrossed in the emotional turmoil of both pairs of lovers. ‘Past and present become interwoven in this tale of two ages and one love, a love strong enough to overcome the horrors of the first world war and to link characters in a strange, indefinable way. 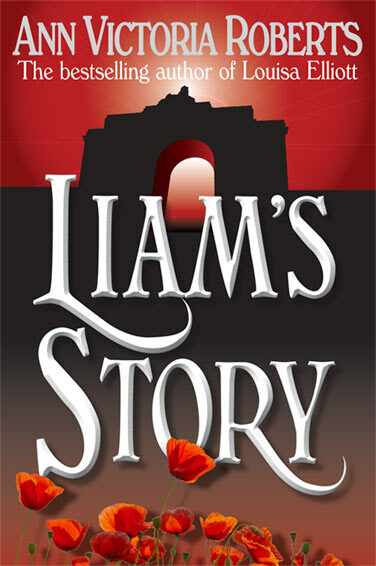 Liam’s Story is the sequel to a first novel Louisa Elliott, inspired by a diary of a soldier from Yorkshire who tastes first-hand the bitter meats of Gallipoli, Egypt, the Somme and Ypres with the Australian forces. His horrific brutal experiences are relived in this second novel when Louisa’s son Liam discovers the tragic truth of his birth and family and heads for Australia on the rebound. The story is seen through the eyes, at first, of Zoe, a young woman with a longing to know more about her mysterious great-grandmother, a shadowy figure who dominated her early childhood. It is a book about relations, and the complicated, unsatisfactory relationships they provide, about 19th century taboos and a history which comes alive in present descendants of the family. Historically the book is reasonably accurate. Details of York and wartime France are carefully researched and the up-to-date details of shipping oil from Kuwait most topical. Writing is clear but not concise, dwelling on the physical and mental effects of a forbidden love with almost an excess of compassion. And although Mrs Roberts is a gripping writer, her novel seems inordinately long. ‘A book to take on holiday, when time stretches and there are no deadlines to meet.’ HW.